Learn more about the Swedish book that led to a new way of decluttering—and why we all should get a head start. My late mother did something in the mid-‘80s that horrified me and my four siblings: She set all of her china, crystal, doodads, and knick-knacks on display and had each of us walk around the tables and “choose what we wanted.” We were given a deadline by which to remove our selections from her home; anything left over was donated to a local charity. What dismayed me then as depressing and dark makes perfect sense to me now—and apparently also sounds sensible to the thousands of people who are becoming devotees of Swedish death cleaning, a new downsizing and de-cluttering trend sweeping the globe. 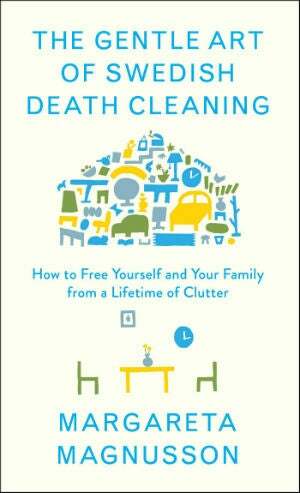 The term—drawn from the Swedish word döstädning (dö meaning “death” and städning meaning “cleaning”)—has gained notoriety in the new bestselling book, The Gentle Art of Swedish Death Cleaning: How to Free Yourself and Your Family from a Lifetime of Clutter (available on Amazon). Despite its somewhat ominous title, death cleaning is neither morbid nor sad. Sure, it entails dealing with all of your “stuff” yourself before you die and saving your relatives and/or friends from having much at all to clean, donate, or discard. But, in fact, it places emphasis on appreciating each object before getting rid of it and on the joys of sharing your most treasured possessions with friends, relatives, and charities while you are still alive. Unlike other major cleaning and de-cluttering strategies in several respects, though, death cleaning is advised to be a gentle, gradual effort—not a furious spree. “The difference between death cleaning and just a big cleanup is the amount of time they consume,” she writes. “Death cleaning is not about dusting or mopping up, it is about a permanent form of organization that makes your everyday life run more smoothly.” That being said, there are certain principles of Swedish death cleaning that one can follow to get the process going. Keep reading to learn more. 1. Don’t wait until your deathbed. Everyone starts considering their mortality at different ages. Magnusson, who describes herself as “between 80 and 100,” suggests that middle-aged people should get with the program sooner than later. It is especially important for people approaching retirement who may be looking to downsize or relocated their living spaces. However, anyone seeking to live a better, more organized life can start the process at any age—the key is to keep at it, so that clutter doesn’t creep back. 2. Know where to start. Don’t try to kick off your own death cleaning process with old photographs, scrapbooks, or intensely sentimental keepsakes like love letters and children’s artworks—it is too easy to get overwhelmed by the flood of memories and, ultimately, derailed. Instead, start with items in storage you rarely use anymore. Sort through all of your closets for linens, clothes, shoes, and accessories that you haven’t touched because they’re outdated or no longer fit. Anything that is torn, stained or extremely used should be thrown away; that which is in good condition can be sold in a garage sale or donated to charity. The key question to ask is, “Will anyone be happier if I save this?” If the answer is no, then out it goes! 3. It’s OK to finally regift all of those unused presents. Magnusson uses a Swedish word, “fulskåp,” which means “ugly cabinet,” to describe the place where unwanted and unloved gifts are stored. She urges people to open the doors to this cabinet and address these contents—along with purely decorative items, unread or read-once books, extra dinnerware, and serving pieces. At this point, don’t hesitate to donate or re-gift. 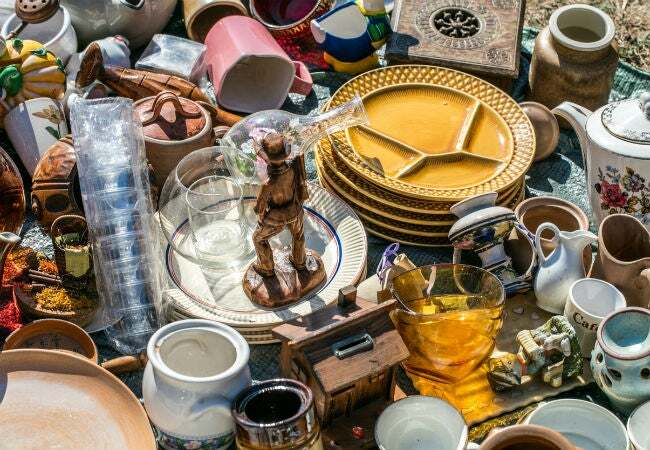 Indeed, just as the adage states that “one person’s trash is another person’s treasure,” many of these unused items would make perfectly lovely gifts for someone else. Young adults moving into their first apartment, for example, or young couples setting up housekeeping want and need many of these items. You may think you know what things your friends and relatives like, but you may be wrong. The best way to ensure that your unwanted possessions find new leases on life is to invite loved ones over to select their own mementos from your discarded items. Having friends and relatives choose what they want ensures that there are no hard feelings, fights, or surprises after your passing. Plus, you can enjoy seeing them in use while you are still alive. It is also important to effectively communicate your wishes regarding valuable items or family heirlooms. If you want something specific to go to an individual or family member, write it down. Include an addendum to your will that spells out what should happen to your personal possessions. You may want to consider making a video of these items, explaining to whom they should be given and detailing your reasons. 5. Keep the keepsakes—but make them manageable. 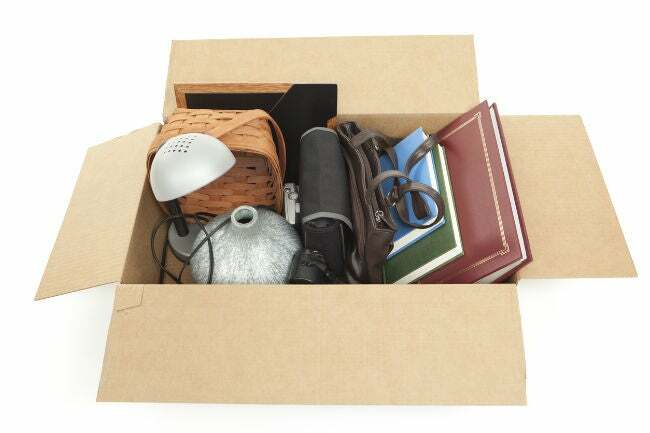 You should set aside a small box for personal items and mementos that are important to you and you alone: family photographs, love letters, rosaries, books, even children’s artwork you can’t bear to part with years ago. Magnusson suggests that it should only be about the size of a shoebox, but any small box will do. You can mark the box “Throw Away After I Die,” so that no one feels obligated to hold onto items that hold no real monetary value. Or, you might do one better to preserve your history for curious future generations. When it comes to old photos, scrapbooks, ticket stubs, videos, and the like, consider digitizing them and keeping copies on your computer, rather than taking up acres of shelf space with photo albums. Make sure to keep backups of all your digitized files, preferably in an alternate location. 6. Slow and steady wins the race. Swedish death cleaning is a continual process, not an end in itself. While you may be inclined to give yourself a hard deadline to do it all, don’t. Magnusson allots herself a week per room in her own death cleaning process and takes a break to breathe between each accomplishment. Then, try to repeat this process seasonally or annually, to prevent the clutter from returning. Not only will you spare your surviving loved ones additional emotional trauma and financial burden (from storage unit fees, estate managers’ compensations, and more) at the time of your passing, but you’ll also live a better life by de-cluttering your space. “Life will become more pleasant and comfortable if we get rid of some of the abundances,” Magnusson writes, because “mess is an unnecessary source of irritation.” Who can’t relate to the peaceful feeling that comes when everything finally has a place in the home and you can see work surfaces and kitchen countertops once more? With Magnusson’s words in mind, I realize now that my mother was on to something. Rather than leave a big mess for us to clean up when she passed away (thankfully, not until recently)—or, worse, get rid of something that one of us would truly cherish—she dispersed her possessions among us and actually got to see them being used and enjoyed by our various families, including her grandchildren and great-grandchildren. And that’s not morbid at all.